What if autonomous cars got hacked? It really does seem like Blockchain is everywhere. The interest in the technology is extremely high globally, and India too, is catching up to the buzz. The organizers of the International Blockchain Conference seem to be privy of the high interest in the space from India. 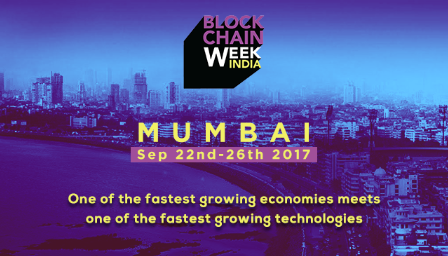 Bringing in experts from across the world, they're all set to organize the India Blockchain Week this September in Mumbai. If you're interested in the Blockchain or Crypto space, you don't want to miss this. Use the code 'Investopad' while making the purchase to avail a special 10% discount, even on early bird tickets! One of the better products to come out of India, Lisn announced they're shutting down. Part of the team building the product worked out of Investopad. Sad to see such a beautiful product unable to survive the harsh realities of the music industry. Over the past couple of years, Aadhaar has become a bit of a shape-shifter. It's important that people understand what this ID really is and how a comparison with the US' Social Security number is not at all accurate. Wondering what Google is doing with it's autonomous cars? Well Stephen Levy, editor of Backchannel, recently got a look behind the scenes at Google’s autonomous car testing center. Speaking of autonomous cars, the traditional car manufacturers are moving quick on this one. Fiat Chrysler decided to join hands with BMW to work on their own version of autonomous cars. Meanwhile, Amazon is expanding its program that pays Alexa developers for top-performing voice apps. Good news for devs! By specifically targeting developers with their product, Patrick and John Collison's story of building Stripe up to $9.2B company is fascinating to say the least. Tech founders can take away a lot of nuggets from their journey. Nah, I'm just kidding. read on!